In addition to black cinders, MDI Rock offers larger cinders ranging from 3-8." 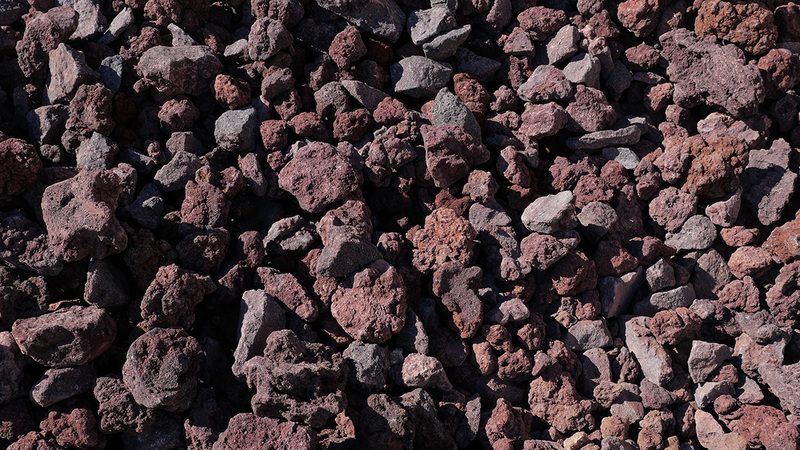 These cinders are originally formed from lava that flows after a volcanic eruption. Because they are porous in nature, they trap in the heat and produce a reddish glow. 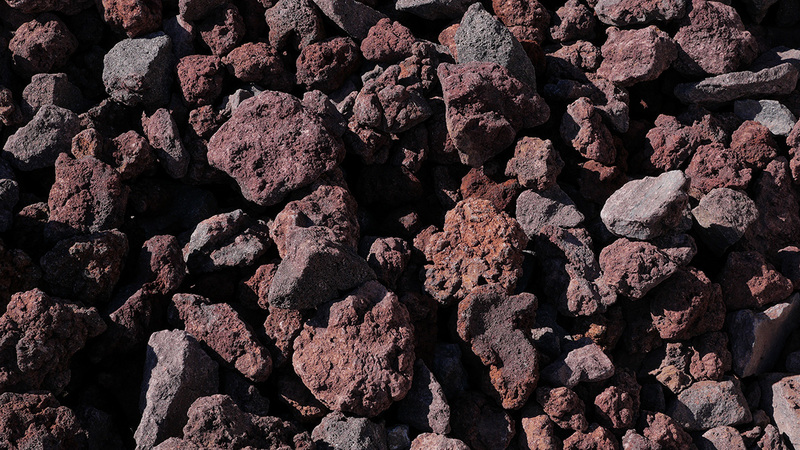 They're often used in outdoor fireplaces and erosion applications.